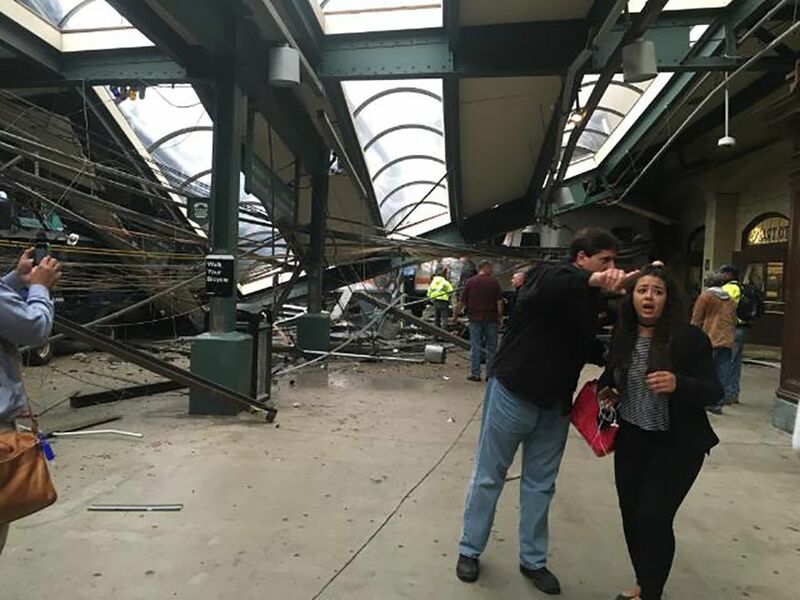 HOBOKEN, N.J. (WPVI) -- A woman was killed and another 114 people were injured after a train crashed into an NJ Transit station in Hoboken on Thursday morning. 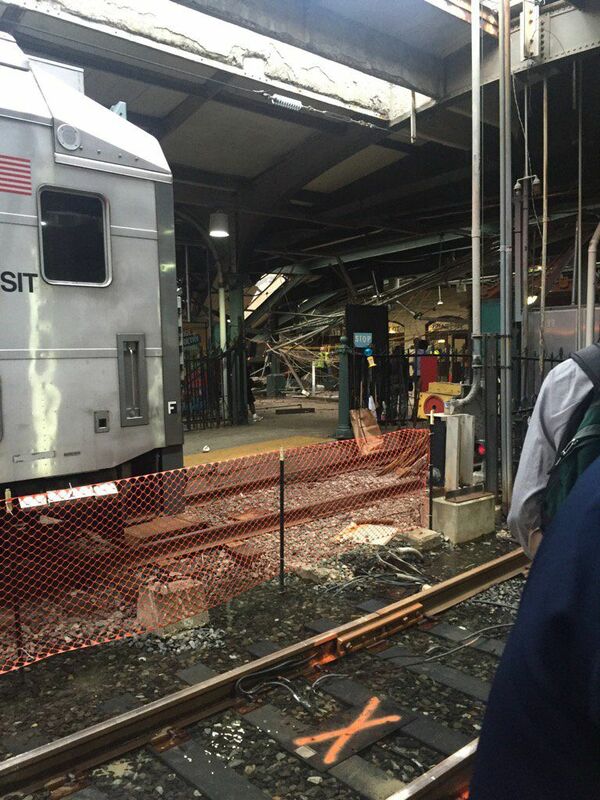 The woman who died was standing on the platform when the crash occurred, officials said. 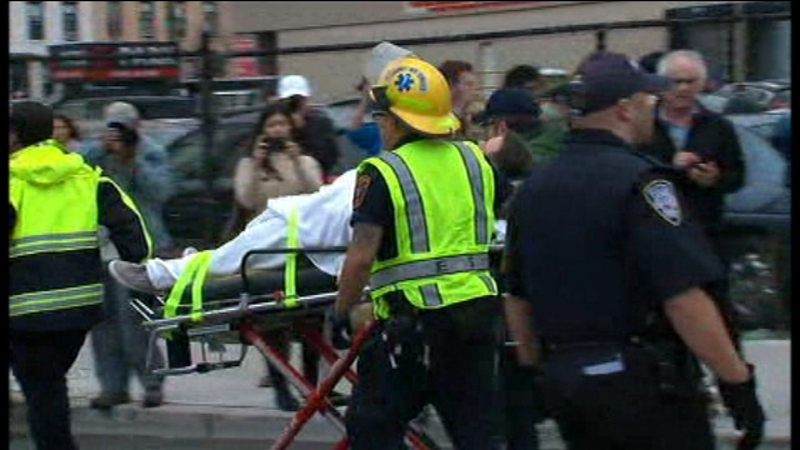 She has been identified as 34-year-old Fabiola Bittar de Kroon of Hoboken. 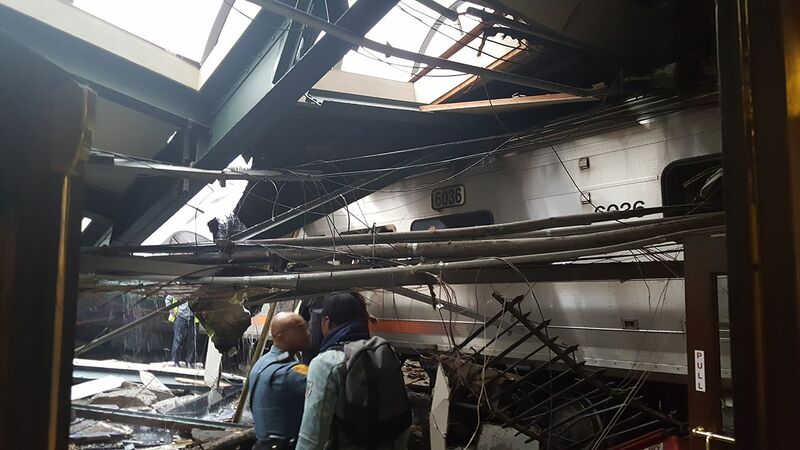 "The one fatality we did have was not someone on the train, but someone who was killed by debris that was created while they were standing on the platform from the crash," New Jersey Gov. Chris Christie said during a Thursday afternoon press conference. 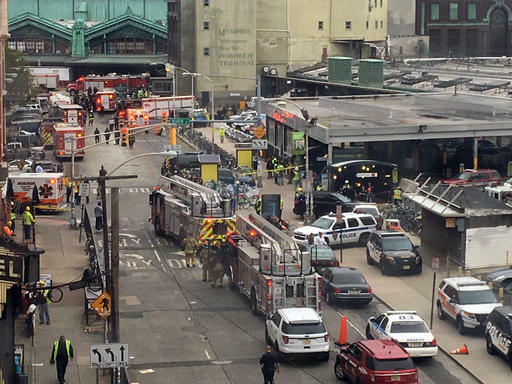 A woman was killed and another 114 people were injured after a train crashed into an NJ Transit station in Hoboken on Thursday morning. 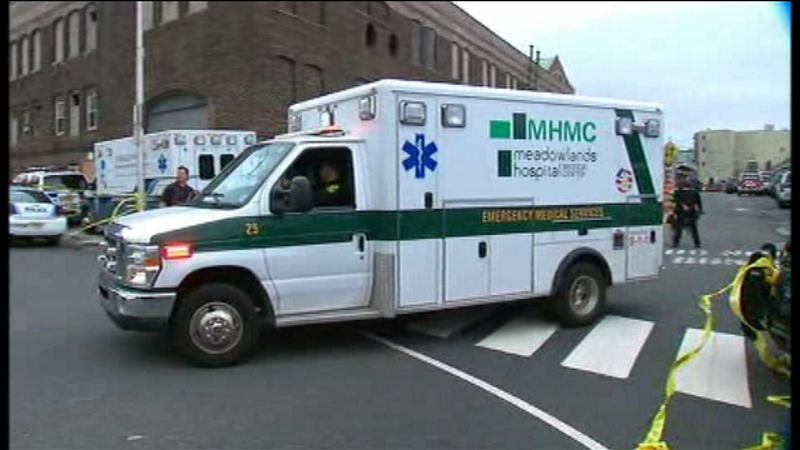 Two of the injured were said to have life-threatening injuries. The rest of the injuries were said to be minor. 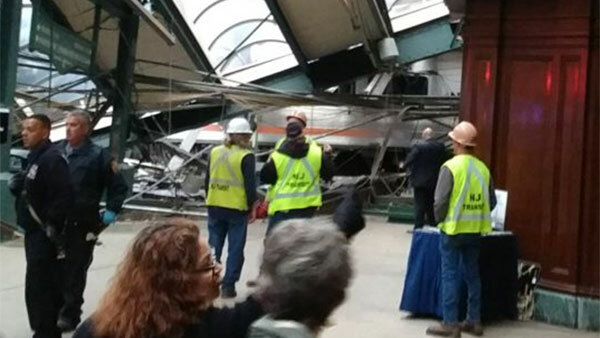 "I just got a scratch and a bruise, but otherwise I was OK because after the first shake, I put my arms over my head so I wouldn't get hurt or bang my head or anything," said Omar Maamoun, passenger. 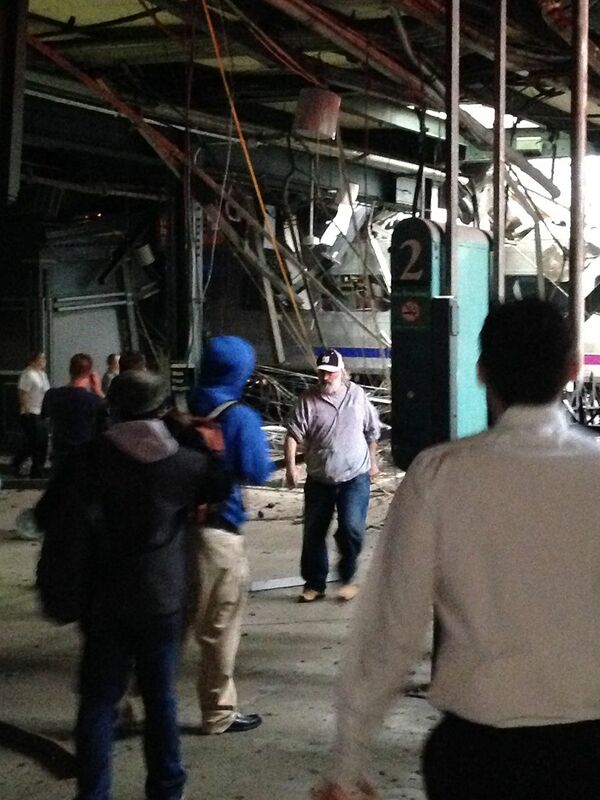 The ceiling collapsed right over the head of ticket agent Miguel Zayas. "Just running all over the place because we didn't know what it was. 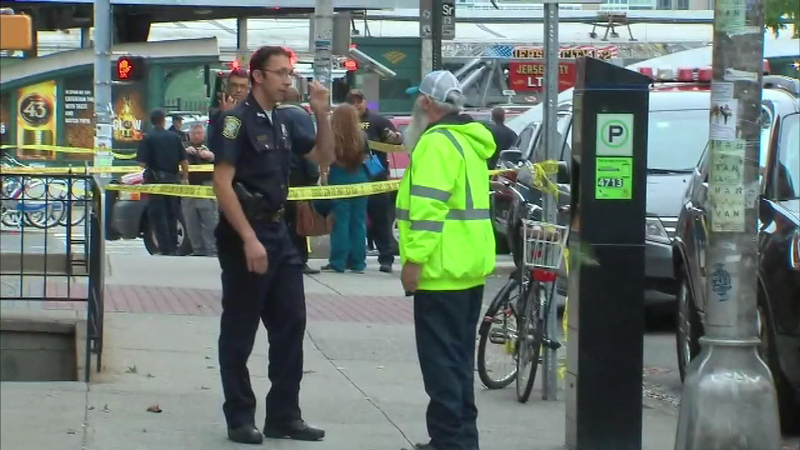 We thought it was an explosion or some type of terrorist attack, but luckily it wasn't," said Zayas. "It looked really, really bad. People were bleeding everywhere, stunned, kind of looking around. 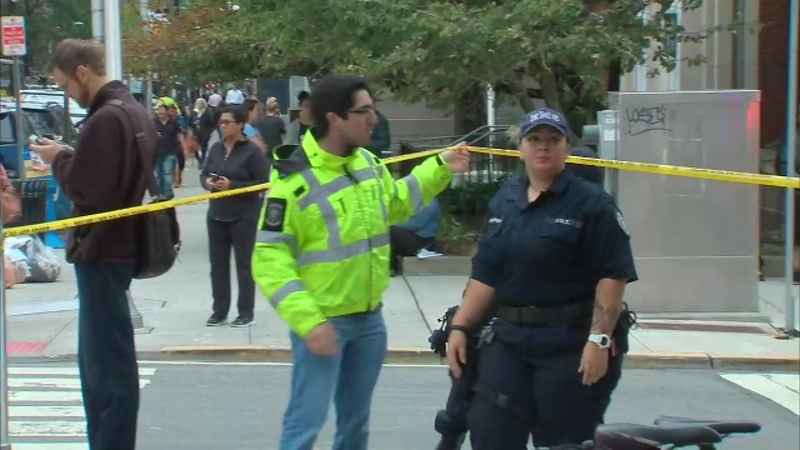 A lot of people on the ground," said Brian Campbell, commuter. 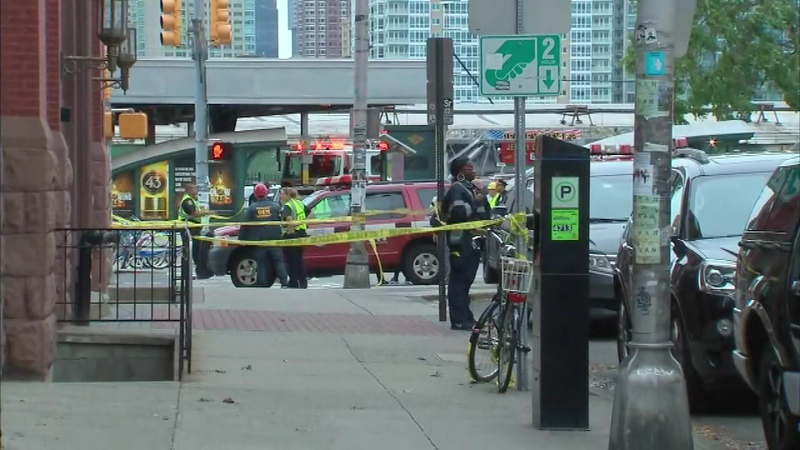 Officials are investigating a deadly train crash in Hoboken, New Jersey. Some 250 people were on the train. 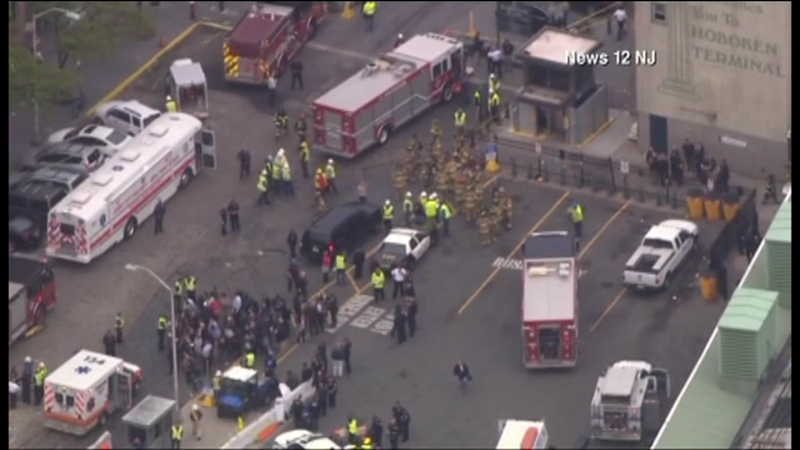 All of the passengers have been removed. 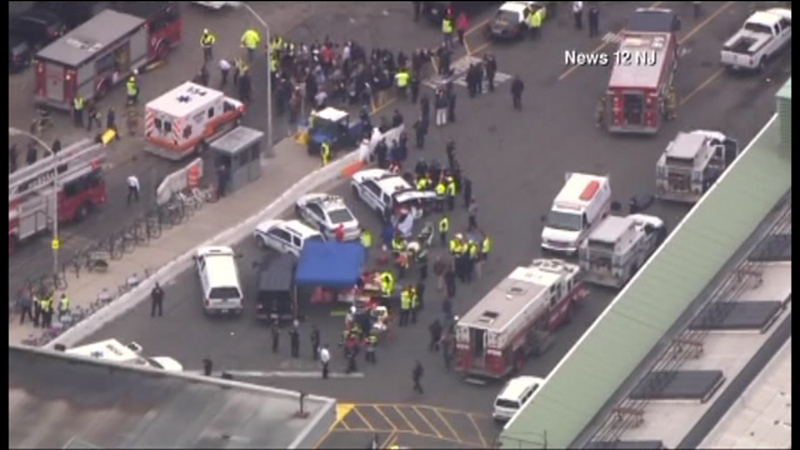 Fifty-five of the 114 injured are hospitalized. 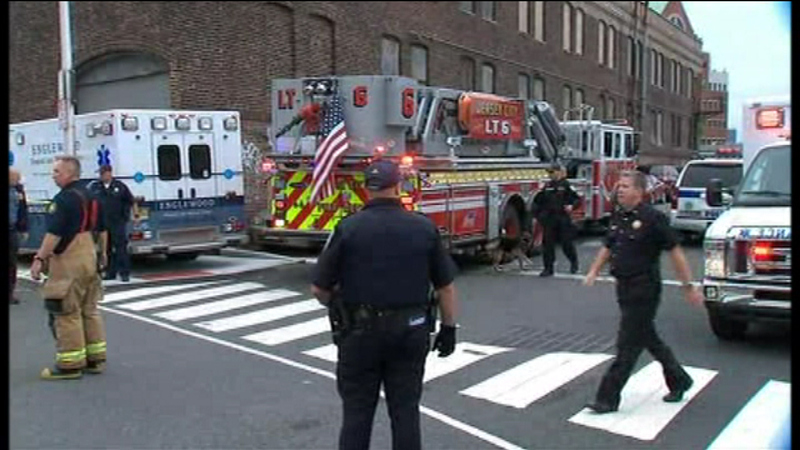 The engineer, who has been identified as 48-year-old Thomas Gallagher, was treated and released from the hospital. Gov. 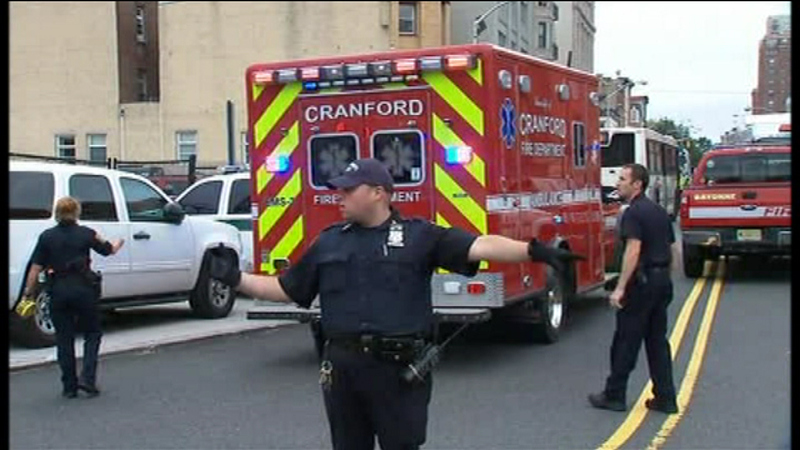 Christie says he is cooperating with law enforcement. Gov. Christie remarks on the people of NY and NJ being tested. 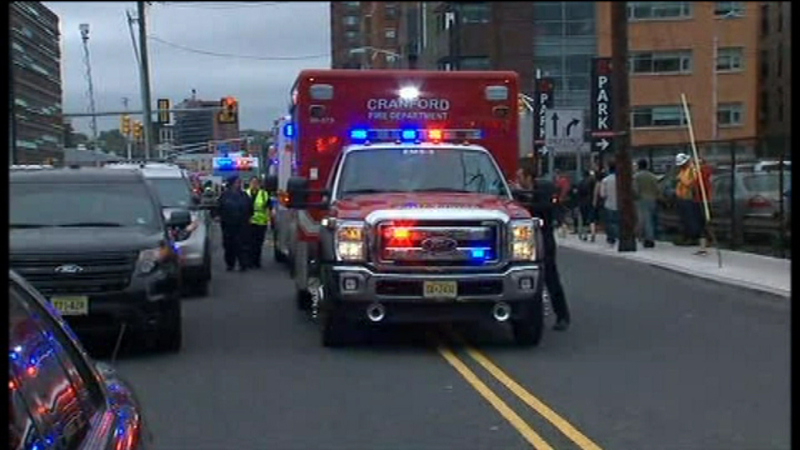 Christie says hurricanes and terrorist attacks have not only tested the governors' offices, but also tested the people of New York and New Jersey. 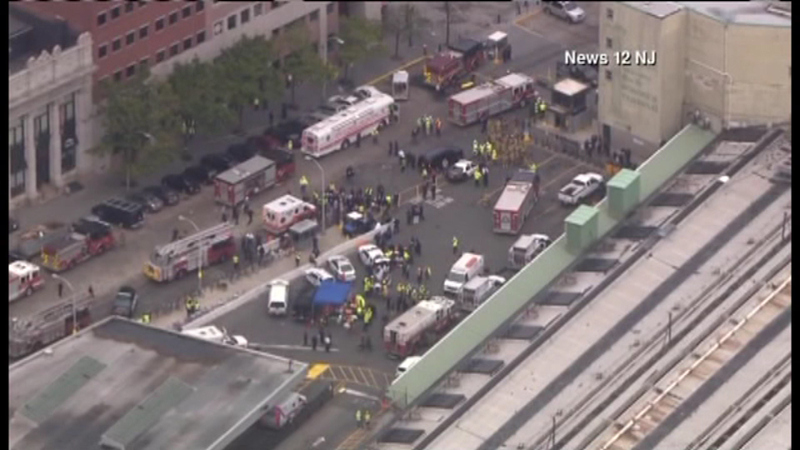 "Regular commuters left the safety of where they were standing to rush to the train to help first responders evacuate injured people off the train. This region has developed a resilience that is admired by the rest of the world because of the way we've been tested," Christie said. 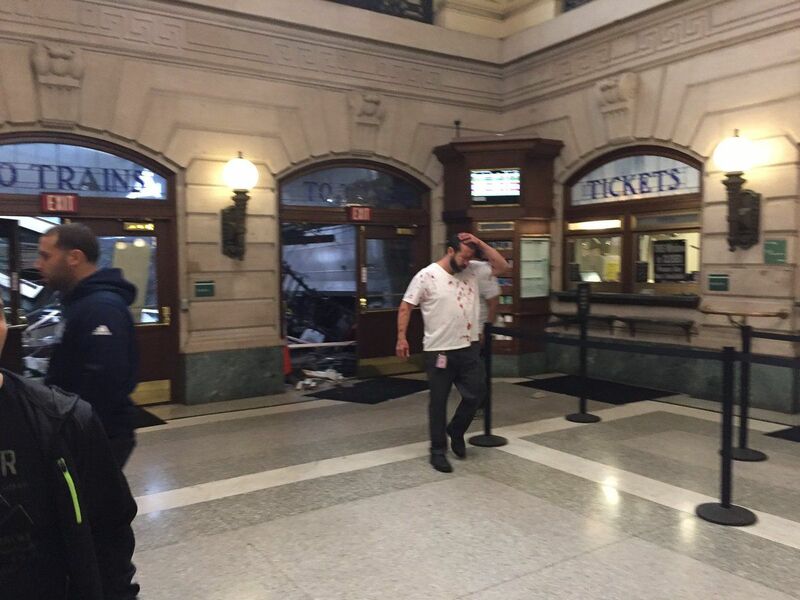 The crash happened at 8:45 a.m. when the train struck the Hoboken Terminal building on track 5. 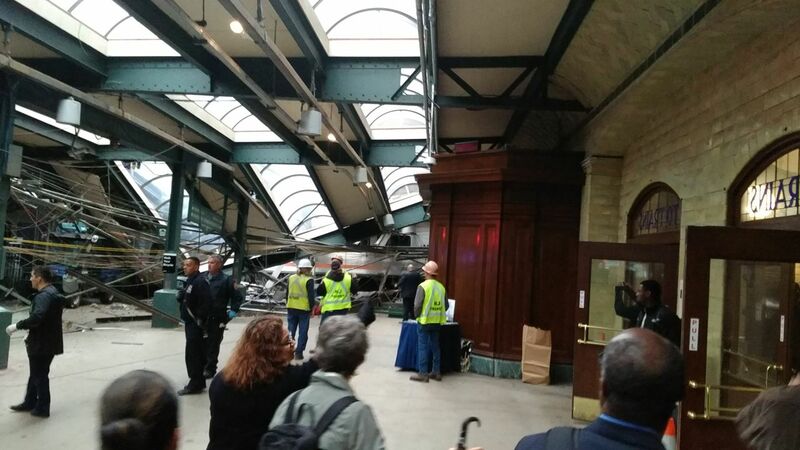 Photos from the scene show a train car inside the station, surrounded by debris. An engineer at the station describes what he witnessed. 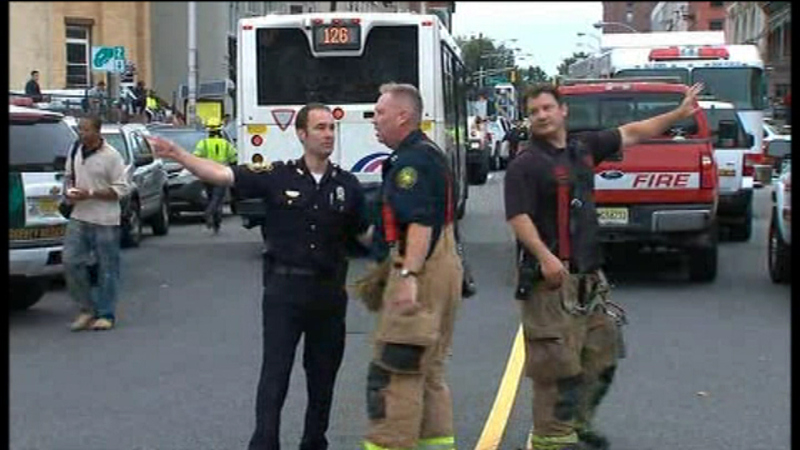 One of the first on the scene was a train engineer for Norfolk Southern from Bear, Delaware. "I just saw bodies trying to get up and blood and cracks in their heads, just crazy looking. But I didn't see the train. I looked up and saw the hole, and I'm still thinking bomb. But when I looked over a little further then I saw the train in the wall," said Blaine. Witnesses speak on what they saw. 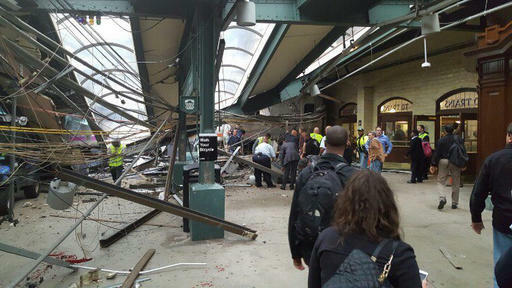 "This train came in at a high rate of speed into the station and crashed through all of the barriers bringing it right to the interior wall of the Hoboken station," Christie said. 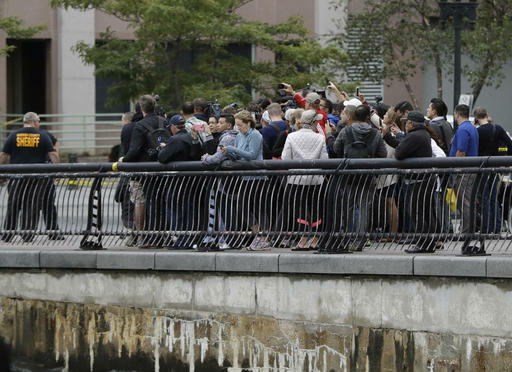 A man who was on the train describes what happened. 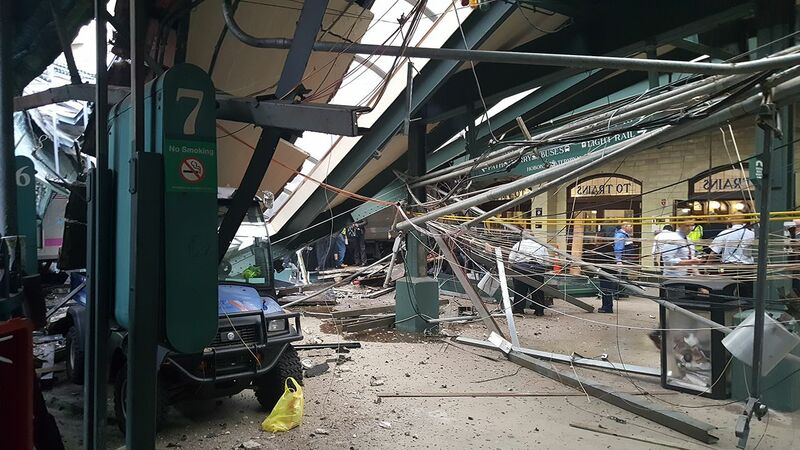 The train blasted right through the passenger area, leaving a web of wires and dangling metal, leading to its evacuation and to both NJ Transit and PATH, which also runs trains out of the station, to suspend all service there. 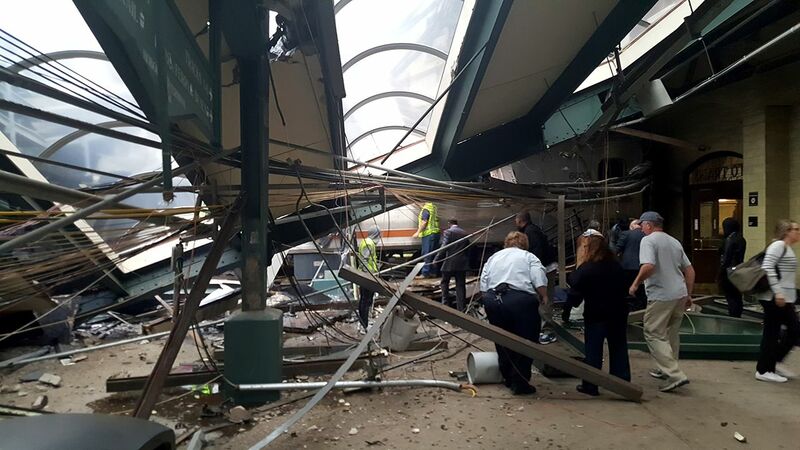 "There is heavy structural damage to the terminal, which is why it was evacuated," said Jennifer Nelson, director of media relations for NJ Transit. "It is not safe to go in there right now." 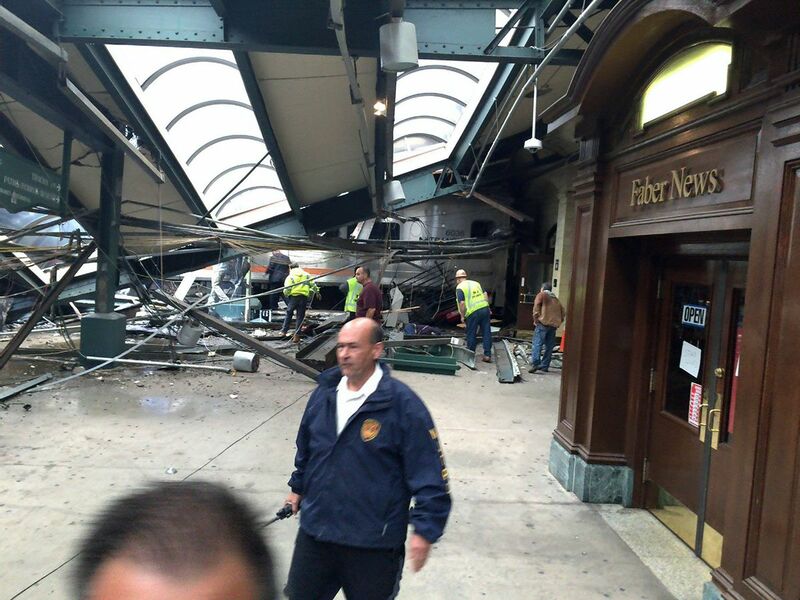 Most of the injuries appear to be in the first car or people struck by debris inside the station. 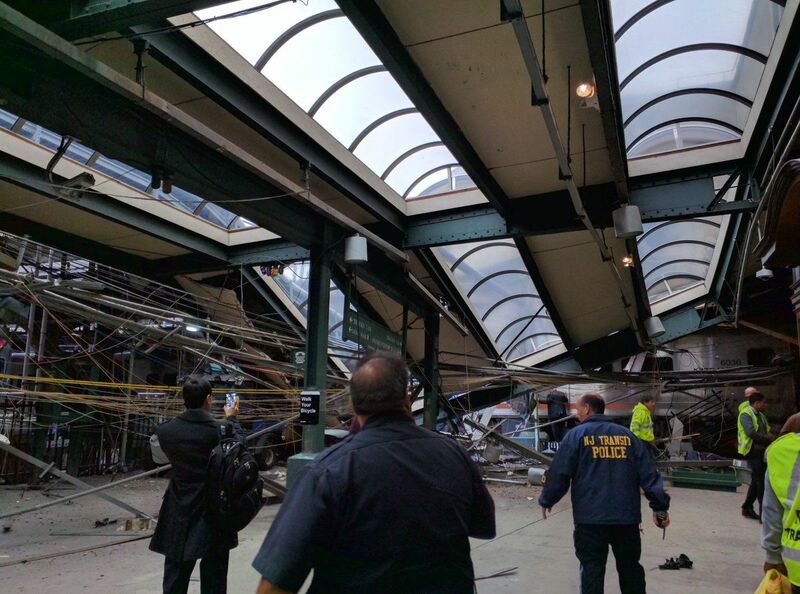 Matt was in the terminal when the crash occurred. "All of a sudden, I just hear this wicked, gnarly metal sounds, like nails on a chalkboard, followed by this huge, huge crash, just this deafening noise, but then that noise was followed by this deafening silence and then all I heard were screams and yelling," witness Matt Thompson said. 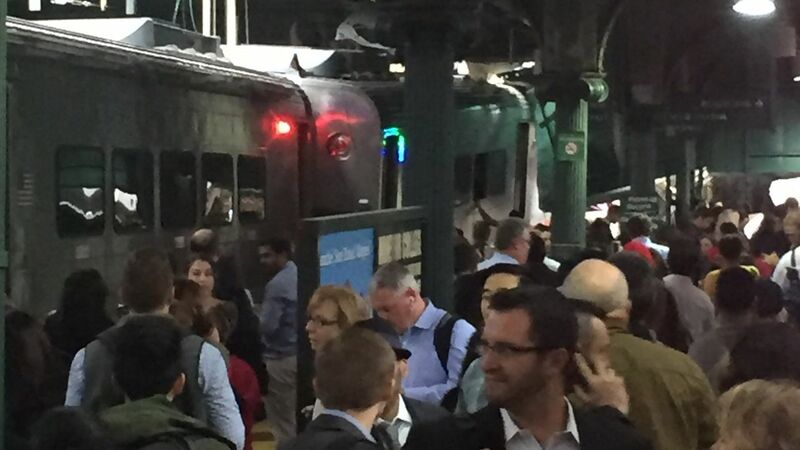 NJ Transit says the train involved was #1614 on the Pascack Valley Line, which departed from Spring Valley at 7:23 and was due to arrive in Hoboken at 8:38. It was apparently running late. Viewer video courtesy of Monduras on Twitter. 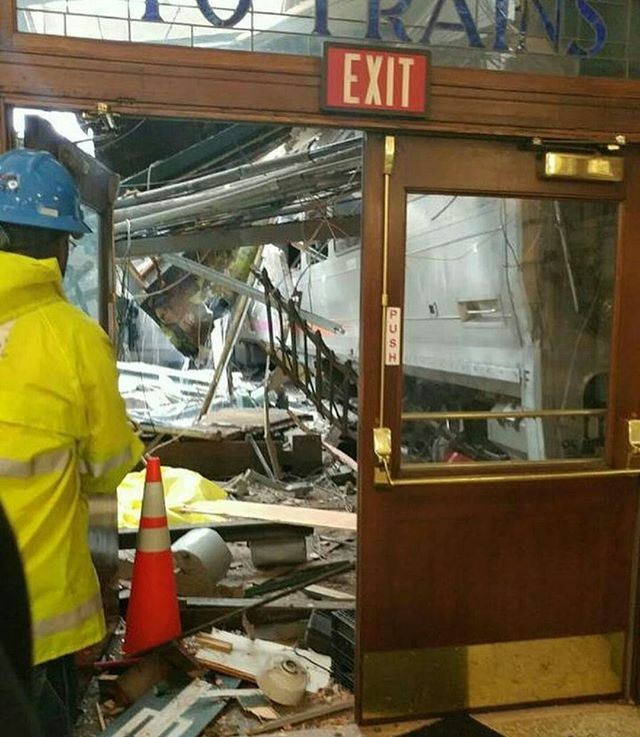 Corey Futterman was riding in one of the last cars of the train, but was not injured in the crash. He told ABC News that this was "something I've never seen before." 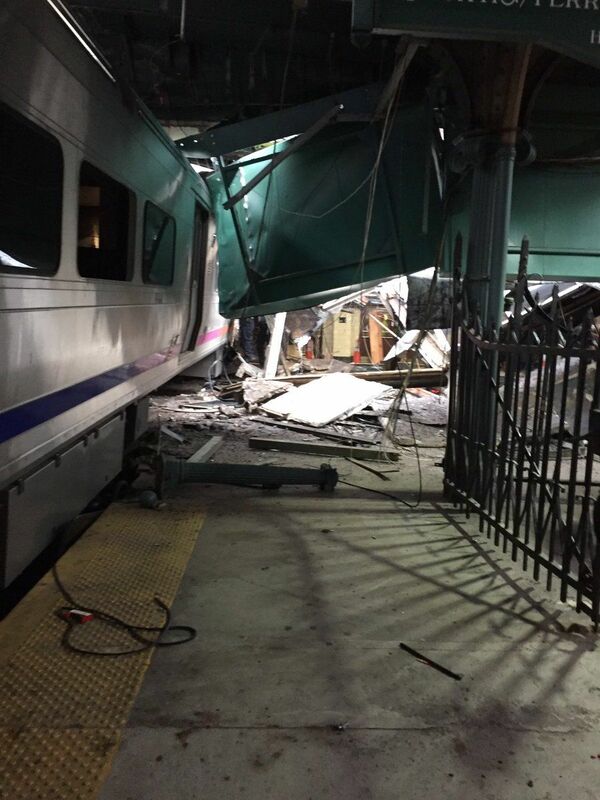 "We had just left Secaucus and that's where about half or, if not, more than half of the train gets off the car to transfer to New York. 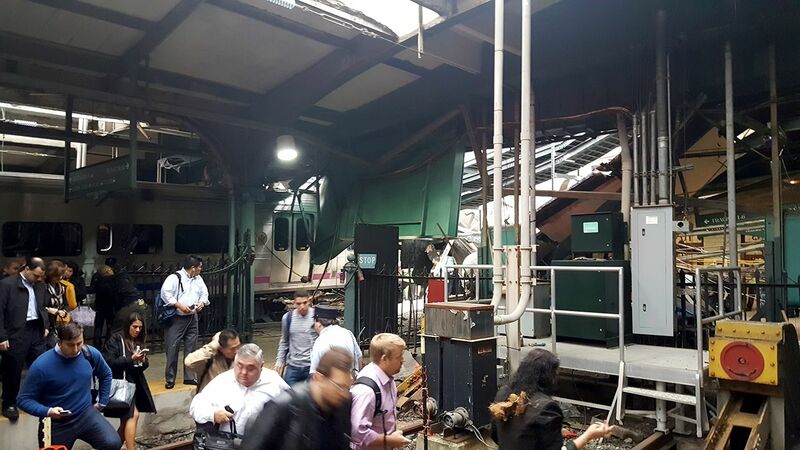 We were approaching Hoboken and the train did not seem to be slowing down whatsoever and then all of a sudden everything just crashed and shook," Futterman said. Ben had just arrived from another train. 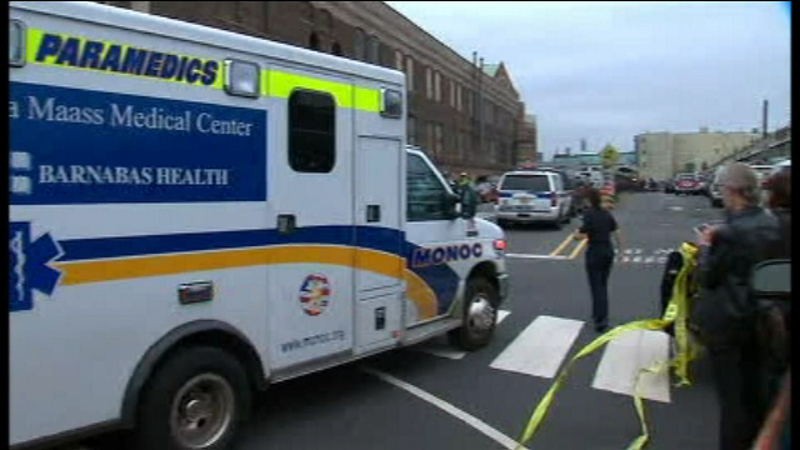 What caused the accident is now being looked at by federal investigators. 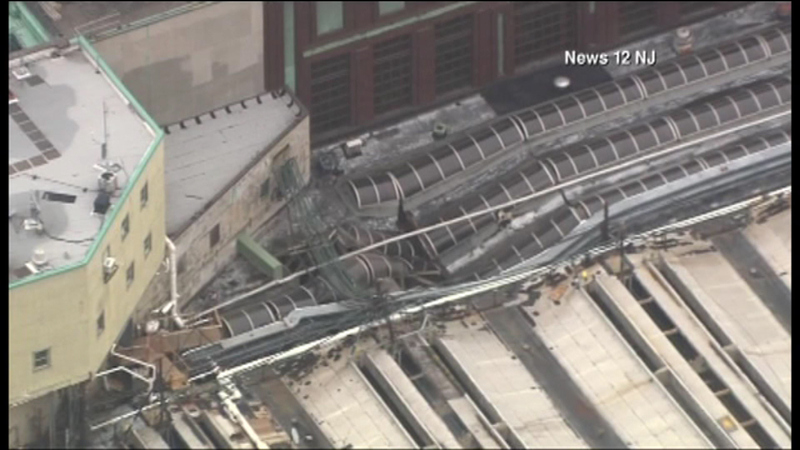 State officials wouldn't talk about details, but say the engineer is cooperating. 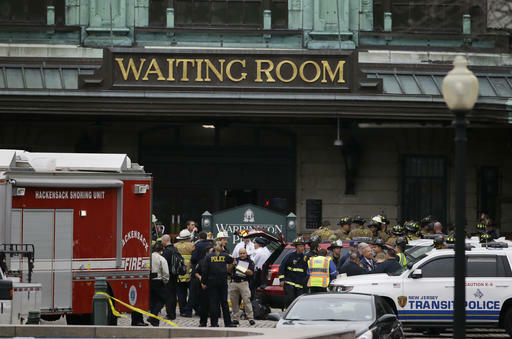 "We are not going to speculate about the cause of the accident. The fact is we are in the midst of an investigation. 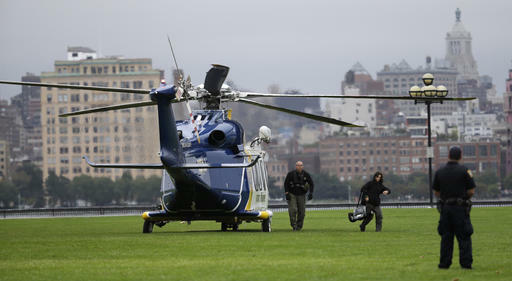 I was called by the White House today as well," said Gov. Christie. Viewer video courtesy of Marc1043 on Instagram. 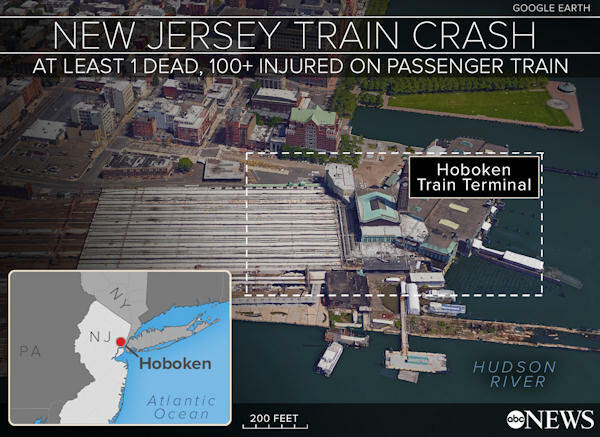 New Jersey Transit hasn't completed installing Positive Train Control, a safety system designed to prevent accidents by automatically slowing or stopping trains that are going too fast. None of its trains or tracks is fully equipped with the system yet. 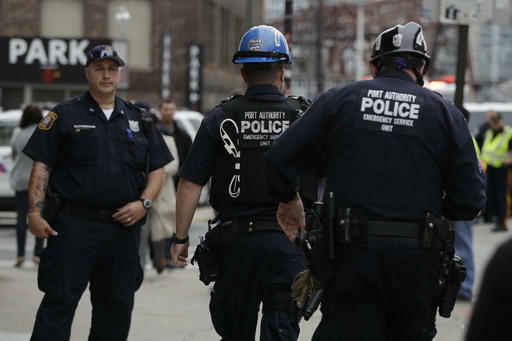 The industry is under government orders to install PTC, but the work has gone more slowly than expected, and the deadline has been repeatedly extended by regulators at the request of the railroads. The deadline is now the end of 2018. 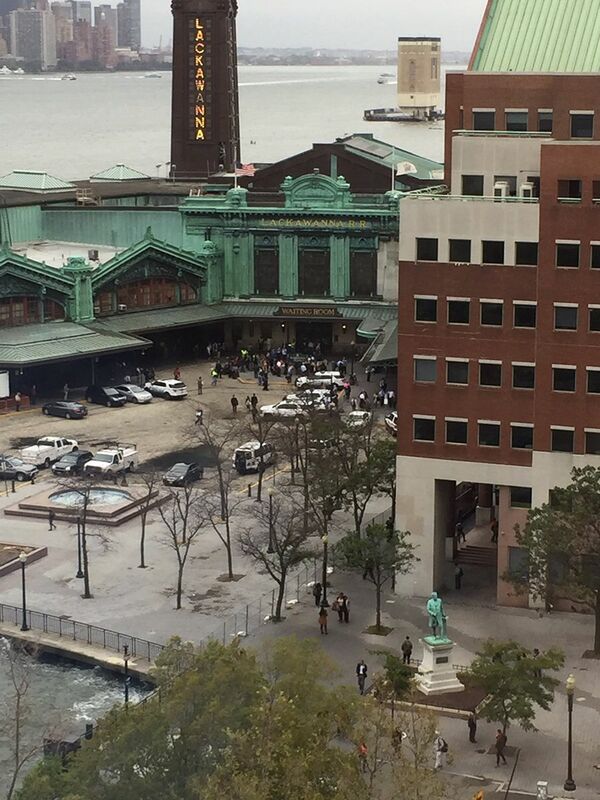 Rail service was suspended in and out of Hoboken, which is directly across the Hudson River from New York City. 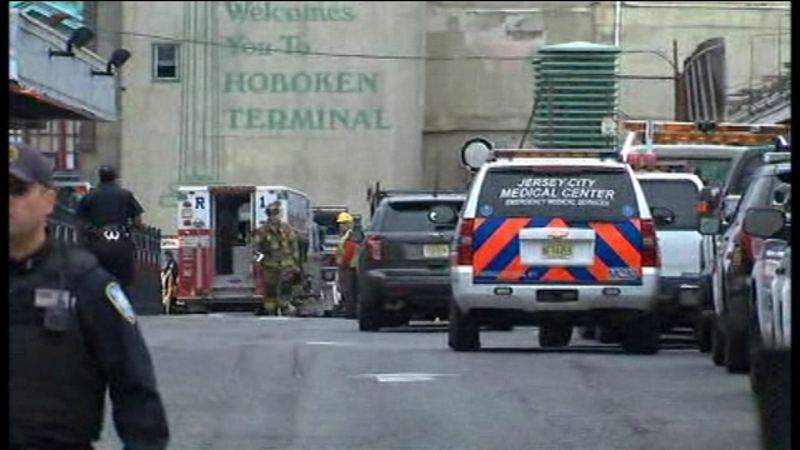 Footage from the scene of a train crash in Hoboken, NJ. 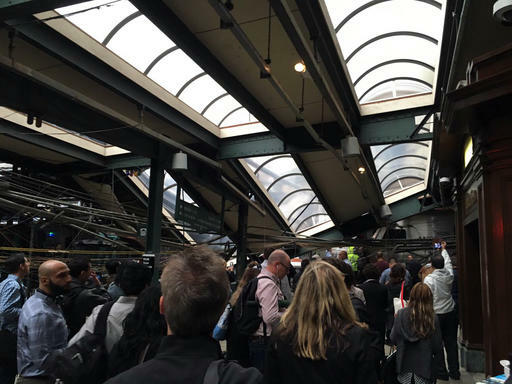 The station is a hub for commuters switching from the NJ Transit system to the PATH system to head into Manhattan. 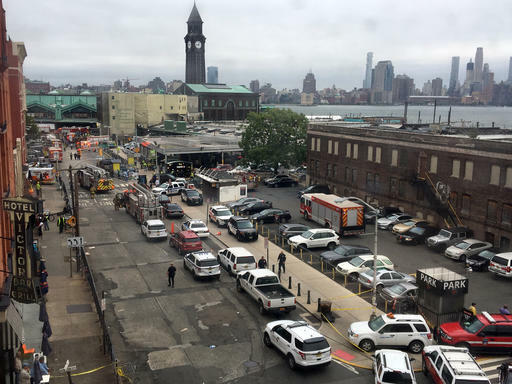 Hoboken, which is New Jersey Transit's fifth-busiest stations with 15,000 boardings per weekday, is the final stop for several train lines and a transfer point for many commuters on their way to New York City. 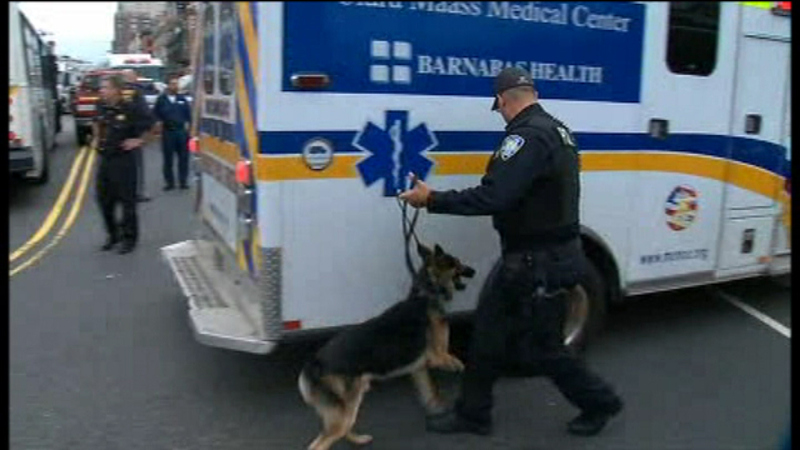 The National Transportation Safety Board is on the scene and is leading the investigation.